Design:- Dinosaur. Material :- quality short fur acrylic. Polystyrene Beans required :- approx 3 cubic feet needed to fill one of these covers. Size :- child’s size 3 cubic feet. No 3 black zip fastening half way around the edge of the bottom. This Marvel Comics Heroes bean cube is brightly coloured and has one side dedicated to each of the team. A perfect seat for little ones but also handy as a footstool for adults too. Can be wiped clean. Design:- Snow leopard. 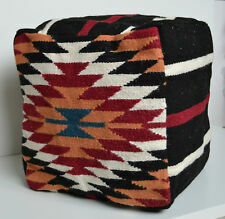 Most Available in children’s 3 cubic feet Size - adults 6 cubic feet Size & floor cushions. Polystyrene Beans required :- approx 3 cubic feet needed to fill one of these covers. Design:- Giraffe. Material :- quality short fur acrylic. Polystyrene Beans required :- approx 3 cubic feet needed to fill one of these covers. Size :- child’s size 3 cubic feet. Pattern :- Animal Design. Great for the Garden. WATER RESISTANT. 10 Colours. Item :- bean bag cover only. Material :- quality short fur acrylic. Polystyrene Beans required :- approx 6 cubic feet needed to fill one of these covers. Size :- teenage / adult size 6 cubic feet. Pattern :- Animal print. CHILLOUT SOFA, LAZY SOFA. - just a few seconds and the sofa is ready for use (you do not need to have a pump). - rigid slats to assist in filling open air chambers and plasticity facilitate compression of the sofa for transport. Cotton Hand Made Bean Bag Cover - Made In India. Beautifully colourful design with mirrored effect top, Black cotton zipped underside. Cover holds 3 Cubic Feet of filler. Design :- Animal Print cheetah. Material :- Soft acrylic fur. Machine washable :- yes on a cool 30 degree wash cycle. Bean bag cover only adult tiger print luxurious soft faux fur 6 cubic ft size. Item :- bean bag cover only as seen in picture 3. Material :- quality short fur acrylic. Size :- teenage / adult size 6 cubic feet. Polystyrene Beans required :- approx 6 cubic feet needed to fill one of these covers. Design:- Ocolot. Material :- quality short fur acrylic. Polystyrene Beans required :- approx 3 cubic feet needed to fill one of these covers. Size :- child’s size 3 cubic feet. Pattern :- Animal Print. Material :- quality short fur acrylic. Size :- child’s size 3 cubic feet. Polystyrene Beans required :- approx 3 cubic feet needed to fill one of these covers. Design:- Tiger. Design:- Cow. Material :- quality short fur acrylic. Polystyrene Beans required :- approx 3 cubic feet needed to fill one of these covers. Size :- child’s size 3 cubic feet. Pattern :- Animal Print. Design:- Baby Giraffe. 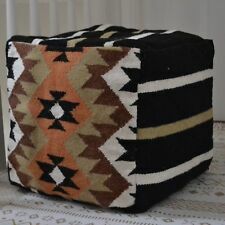 Most Available in children’s 3 cubic feet Size - adults 6 cubic feet Size & floor cushions. Material :- quality short fur acrylic. Size :- child’s size 3 cubic feet. Polystyrene Beans required :- approx 3 cubic feet needed to fill one of these covers. 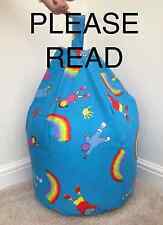 YOU ARE LOOKING AT A BLUE TWEENIE CHILDS / KIDS 3 CUBIC FEET BEAN BAG COVER ONLY. 3 CUBIC FEET OF BEANS NEEDED FOR THIS COVER ( BEANS NOT SUPPLIED WITH THIS BUY IT NOW ). This bean bag is 100% Organic, eco-friendly and Soft. I am 100% sure that you will love this beautiful bean bag forever once you bought it, because this bean bag is more beautiful in person. Every body loves a bean bag! Contoured Seat with Comfortable Backrest and Foot Pad. Quick and easy to inflate/deflate. McAlister Copenhagen. Magda Pink Grey Cotton Bean Bag Chair. Or you can search "McAlister", followed by the item you're interested in - for example: "mcalister throws" or "mcalister cushion covers". McAlister Copenhagen. Or you can search "McAlister", followed by the item you're interested in - for example: "mcalister throws" or "mcalister cushion covers". How to find McAlister Textiles Our range is designed in-house in the UK by our talented artists - you won't find our designs anywhere else. McAlister Copenhagen. Laila Pink Grey Cotton Bean Bag Chair. Or you can search "McAlister", followed by the item you're interested in - for example: "mcalister throws" or "mcalister cushion covers". McAlister Copenhagen. Laila Burnt Orange Teal Cotton Bean Bag Chair. Or you can search "McAlister", followed by the item you're interested in - for example: "mcalister throws" or "mcalister cushion covers". McAlister Copenhagen. Magda Burnt Orange Teal Cotton Bean Bag Chair. Or you can search "McAlister", followed by the item you're interested in - for example: "mcalister throws" or "mcalister cushion covers". McAlister Copenhagen. Magda Ochre Yellow Grey Cotton Bean Bag Chair. Or you can search "McAlister", followed by the item you're interested in - for example: "mcalister throws" or "mcalister cushion covers". McAlister Copenhagen. 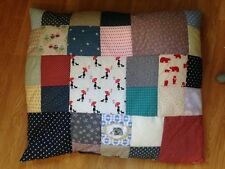 Or you can search "McAlister", followed by the item you're interested in - for example: "mcalister throws" or "mcalister cushion covers". Vita Ochre Yellow Grey Cotton Bean Bag Chair.